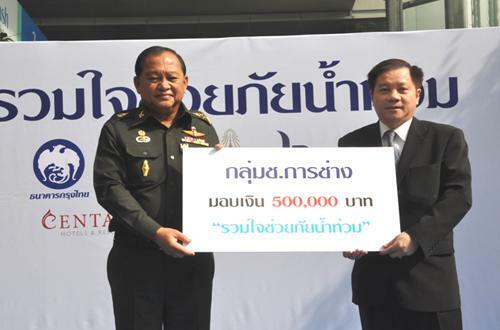 Mr. Sathit Limpongpan, Chairman of the Board of Directors of Krung Thai Bank (KTB), together with Gen. Kittipong Ketkovit, Permanent Secretary of Defence Ministry, M.R. 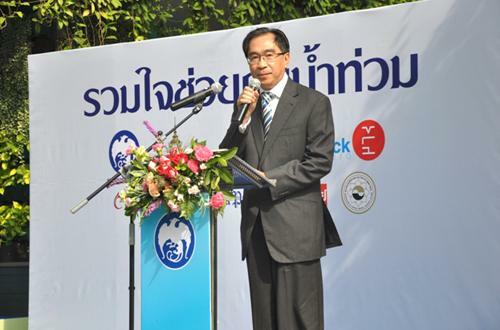 Pridiyathorn Tevakul, Chairman of the Board of Directors of Post Publishing Public Company Limited, Mrs. Rattana Charoensak, the director of National Broadcasting Services of Thailand, the Government Public Relations Department, together with the top executives, jointly opened the ?? ?Donation to Help Flood Victims? 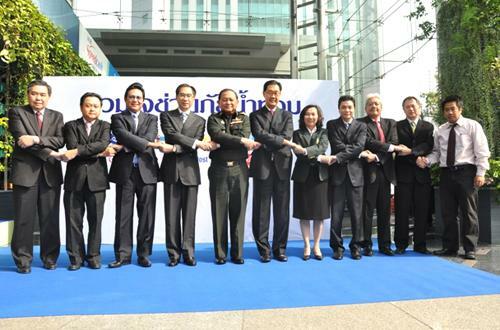 ?� Project, organized by Krung Thai Bank (KTB), Ministry of Defence, Royal Thai Air Force, Channel 11, Click VR 1 Centara, Capital Market Academy Association, Bangkok Post, Post Today, at Krung Thai Bank (Head Office), November 4 2010.